I consider myself a lucky guy. Every day, I have the privilege of serving the American people as the Under Secretary of Commerce for International Trade. It is a tremendous honor to be able to give back to a country that has given so much to me. My story is the American story. My grandparents and father were immigrants from Spain; they believed in the American Dream, and worked hard to achieve it. We lived in Tampa, Florida. Growing up, I learned a lot of lessons that serve me well today. Through my father, who used to run a candy factory in Spain, I was able to learn how important small- and medium-sized businesses are to a community’s development. My mother worked as the Director of one of the first Head Start programs in the country. She wanted all children to get the best possible start in life and dedicated her time to helping others. That’s why she is my hero. 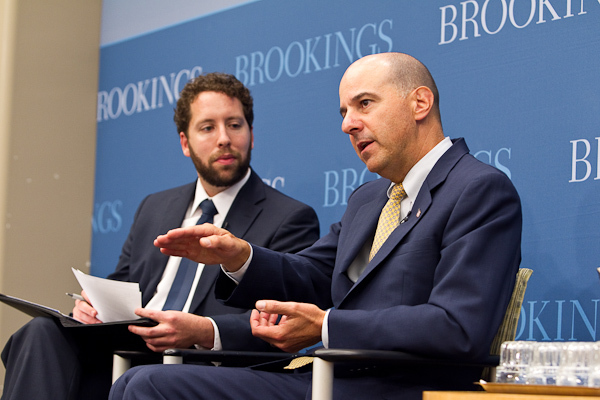 Today, Under Secretary of Commerce for Intellectual Property and Director of the United States Patent and Trademark Office (USPTO) David Kappos addressed the Brookings Institution’s Center for Technology Innovation, outlining how comprehensive patent reform, signed into law by President Obama two weeks ago today, impacts American innovation, American jobs and American leadership. Representing the most significant overhaul of the U.S. patent system in a generation, the America Invents Act (AIA) transforms how patents are obtained, challenged, and valued in acquisition, licensing, and litigation settlement discussions. In the centuries since the first patent examiner—Thomas Jefferson—reviewed and granted the first U.S. patent, our nation has observed sweeping revolutions in the pace of innovation—but with no comprehensive legislative adjustment in patent policy. By building out the world’s only 21st century Patent and Trademark Office, equipped to manage the demands of a globalized economy, this new law enables a better resourced USPTO to grant intellectual property rights with greater speed, greater quality, greater clarity and greater enforceability. It also advances the President’s overall strategy of deploying American innovation to build businesses and build jobs. 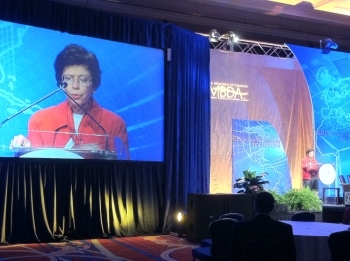 This morning Acting Secretary Rebecca Blank addressed the 29th Annual Minority Enterprise Development Week Conference about the importance of Congress passing the American Jobs Act. Dr. Blank emphasized that the American Jobs Act will help a private sector in need of a little boost. It will create jobs. It will prevent the layoffs of teachers and first responders. And it will rebuild the roads, railways and airports that form the very backbone of Commerce. She noted that the Obama Administration knows government can’t solve all the problems facing our country. What it can do is help lay a foundation for growth and create smart incentives for minority entrepreneurs and all American businesses to build something special on top of that foundation. The $33 million Jobs and Innovation Accelerator Challenge to drive job growth through public-private partnerships in regions around the country, and we’re pleased to note that three MBDA centers were among the winners. New aggressive steps by federal agencies, which are the nation’s largest purchaser of goods and services, to improve contracting with small businesses, including minority-owned firms. The goal is simple. 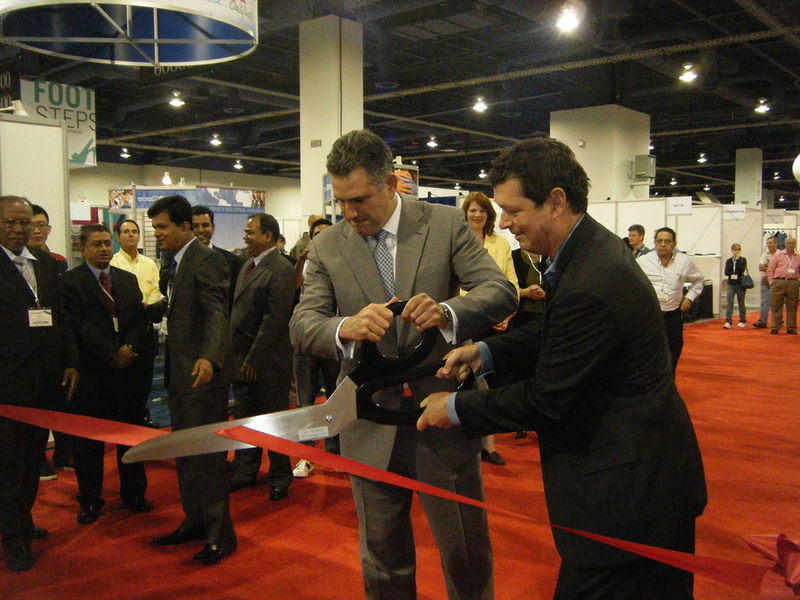 It is to improve the overall competitiveness of American business at home and abroad. As Chief of Congressional and Intergovernmental Affairs at the U.S. Census Bureau, I serve as the primary advisor to the Director of the Bureau regarding congressional and intergovernmental matters. I am one of three political appointees at the Census Bureau and one of nearly 15 Hispanic appointees at the U.S. Department of Commerce. Growing up in the working class neighborhood of Villa Palmeras in Santurce, Puerto Rico, never in my wildest dreams did I imagine I would work for the President of the United States. While living with my grandmother, who read the paper and watched the evening news daily, I developed a healthy interest in current and foreign affairs. The news reported about civil wars, dictatorships and coups happening all over Latin America and the Caribbean, and I couldn’t get enough of it. I wanted to understand why these things were occurring and I haven’t stopped since. Let’s build it in America. That’s what we’ve done for generations. And today, the private sector members of the Manufacturing Council had the opportunity to meet with Acting Secretary Blank, Under Secretary Sánchez, Assistant Secretary Lamb-Hale and others from the federal government to continue the discussion on how to enhance our global competitiveness and make the important investments necessary to ensure American manufacturers and communities across the country can continue to innovate here, manufacture here and have the skilled workforce they need to do it. The Council and the team at Commerce and within the Obama administration are committed to helping businesses invest, grow and create jobs in America. We are tackling head-on the issues that the manufacturing industry, through the Council, have identified as most important. Some of these issues are a comprehensive energy strategy, passage of the trade agreements with Korea, Colombia and Panama, workforce development initiatives and tax and regulatory matters. And, we’re making progress. 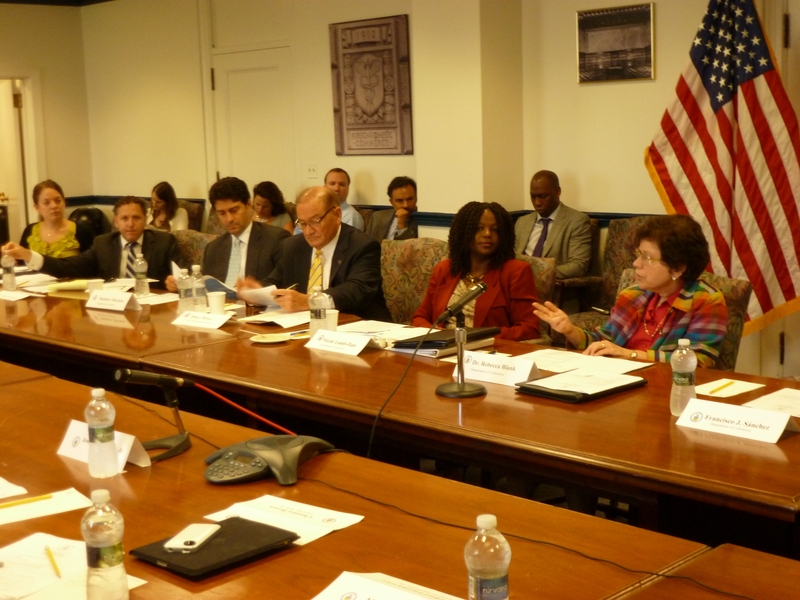 Today, Secretary Blank discussed the American Jobs Act with the Council, highlighting, in particular, the pieces on infrastructure investment, the extension of 100% business expensing and payroll tax holidays that the Council has addressed. And, we’re also making strides toward connecting the key players in these areas so they join forces. The Council is working with Skills for America’s Future, Change the Equation, the President’s Council on Jobs and Competitiveness and the Departments of Labor and Education to look at concrete next steps to address the workforce issues. 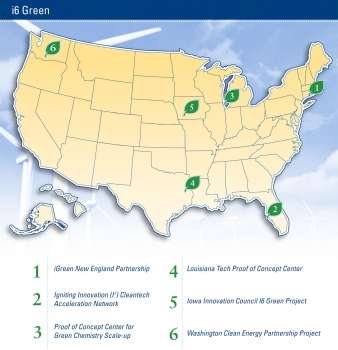 The Commerce Department, along with partner agencies, announced the winners of our i6 Green Challenge. These winners will have the ability to leverage resources from five federal agencies to take their clean technology innovations and bring them to market. 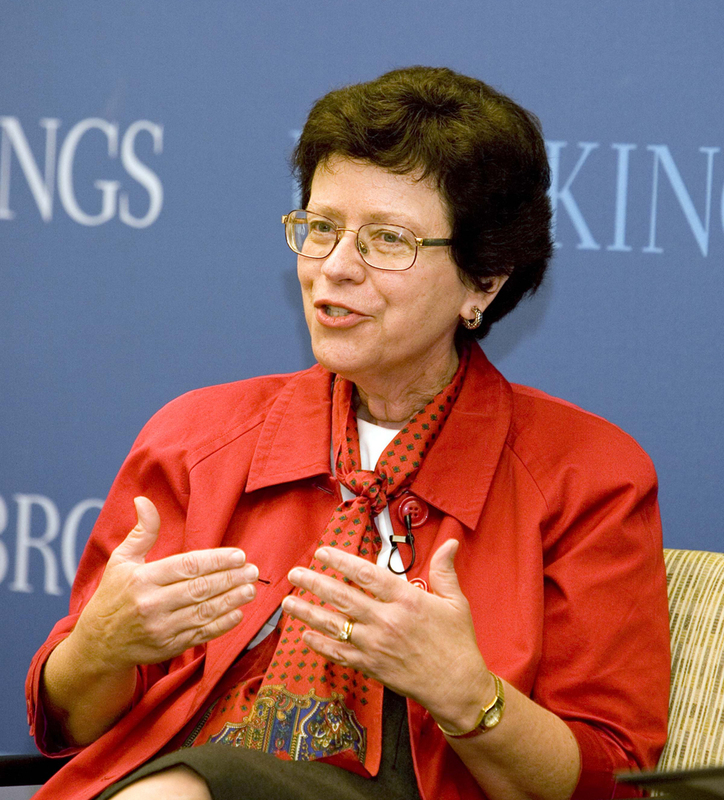 U.S. Acting U.S. Commerce Secretary Rebecca Blank today joined the Obama administration in announcing a national initiative leveraging resources of five federal agencies to advance clean technology commercialization. 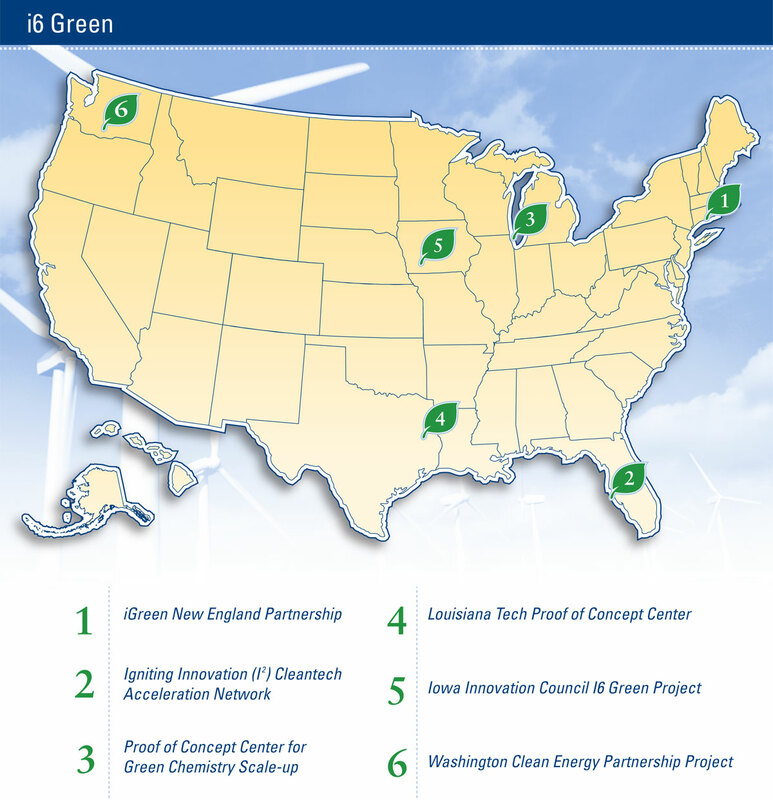 Six winners were announced today of the i6 Green Challenge, an initiative to drive technology commercialization and entrepreneurship in support of a green innovation economy, increased U.S. competitiveness and new jobs. 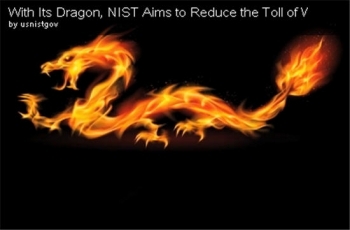 Commerce's National Institute of Standards and Technology (NIST) will unleash its Dragon—a NIST invention that bellows showers of glowing embers, or firebrands—at a unique wind tunnel test facility in Japan, where researchers will evaluate the vulnerability of outdoor deck assemblies and materials to ignition during wildfires, a growing peril that accounts for half of the nation’s 10 most costly fires. In a new report, NIST researchers summarize suggestions for test designs and objectives offered by experts at a recent workshop convened in Los Angeles, Calif., with support from the U.S. Department of Homeland Security and input from the Office of the California State Fire Marshal. This input is now being formalized into plans for experiments that will be conducted in early 2012 at Japan’s Building Research Institute (BRI) in Tsukuba. There, NIST and Japanese researchers have merged two technologies, NIST’s Firebrand Generator (the “Dragon”) and BRI’s Fire Research Wind Tunnel Facility, which is devoted to studies of how wind influences fire. The combination gives them the singular capability to replicate a firebrand attack and expose structures to wind-driven showers of embers under experimentally controlled conditions. NIST TechBeat story | Video clip of the "NIST Dragon"
Earlier today, Acting Secretary of Commerce Rebecca Blank announced $102 million for three Louisiana projects in the Barataria and Terrebone basins, to restore deteriorated wetlands and barrier island habitats along the state’s coast. These awards are funded by the Coastal Wetlands Planning, Protection and Restoration Act (CWPPRA) program. U.S. Rep. Cedric Richmond, D-La., Louisiana Coastal Protection and Restoration Authority Director Garret Graves and Great Lakes Dredge & Dock Project Director Bobby Guichet also participated in the announcement. Great Lakes Dredge & Dock and Weeks Marine have been contracted to restore beach, dune and marsh on Pelican Island in Plaquemines Parish, and West Belle Pass barrier headland in Lafourche Parish, respectively. The state of Louisiana will receive the third award to rebuild marsh and construct an 11,000-foot long protective ridge in the Bayou Dupont area in Jefferson Parish. The three projects will employ local citizens and generate further economic benefits for local businesses and coastal communities. At the event, Blank also outlined help the American Jobs Act would provide Louisiana – putting people to work and boosting businesses. The plan would provide a significant new tax cut for small businesses, make major reforms to unemployment insurance to help get more Americans back on the job, and it would put more money in the pockets of Americans by reducing payroll taxes paid by workers. The Jobs Act would complement the coastal restoration work funded by the awards announced by Blank today. 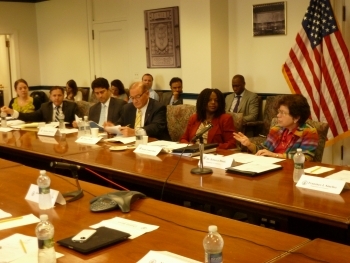 As Director of Intergovernmental Affairs in the Office of the Secretary, I have the privilege to serve President Obama and the Department of Commerce Secretary promoting their policies, programs and initiatives with state and local elected officials as it relates to the 12 bureaus within the department. In a city where politics and government looks inward toward Capitol Hill, I have the unique opportunity to look toward the 50 states and five territorial capitals, the 3,068 counties, and thousands of cities, townships and villages and their governmental associations. From the 2010 Decennial Census, promoting the National Export Initiative, to NOAA’s work with governors and mayors and everything in between, the work with these elected and appointed officials is important to the President, the Secretary and to our nation. I do this work with the assistance and collaboration of 12 very dedicated Bureau Directors of Intergovernmental Affairs, who stand ready to assist state/local and territorial officials and their staffs to improve the understanding of the Department of Commerce’s critical work across the country and around the world by conducting outreach and education activities. Prior to my appointment to the Obama Administration, I was Director of the Washington, DC office of the National Association of Latino Elected and Appointed Officials (NALEO) Educational Fund, leading a team that represented NALEO’s mission of empowering Latinos to fully participate in the American political process by advocating on Capitol Hill and the Administration on policy issues related to immigration, naturalization, the Census, voting rights protection and representation in the administration. 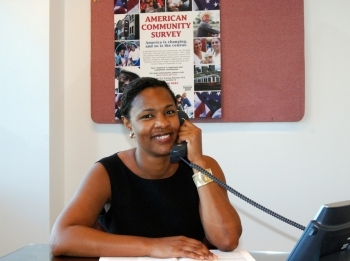 I began my career at ASPIRA of Florida, a youth leadership development organization, and have worked in governmental relations with America’s Promise – The Alliance for Youth and the YMCA of the USA here in Washington, DC. I was also the Director of Policy and Legislation for a Miami-Dade County Commissioner. Alejandra Y. Castillo is the National Deputy Director of the Minority Business Development Agency. 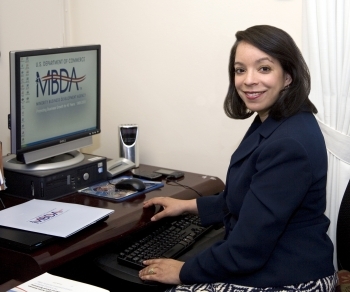 Since joining the Minority Business Development Agency in April 2010, I serve as the principal advisor to the MBDA National Director and manage the day-to-day activities of the Agency’s 5 Regional Offices and 48 Minority Business Centers. These Offices and Business Centers are vital centers of economic growth and job creation. Under the Obama Administration, MBDA has assisted minority-owned firms in obtaining nearly $7 billion in contracts and capital, creating nearly 11,000 during the last two years. As the National Deputy Director, I am also responsible for executing the Agency’s mission to help Minority Business Enterprises (MBEs) grow and succeed through access to capital, access to contract and access to business opportunities both domestically and abroad. Prior to MBDA, I served as Special Advisor to the Under Secretary for the U.S. Department of Commerce’s International Trade Administration (ITA) where I was responsible for business outreach and development of policy initiatives geared at trade promotion and enforcement of U.S. trade laws. Before coming to the Department of Commerce, I was a practicing attorney for several years, working in the private, government and non-profit sector. 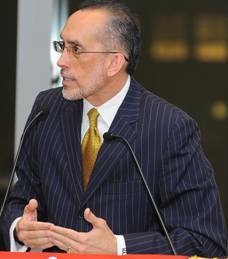 I also served as the Interim Executive Director of the Hispanic National Bar Association working with the White House and non-profit organization, such as the Latinos for a Fair Judiciary, in support of the nomination and confirmation of Sonia Sotomayor to the United States Supreme Court. Every day we consciously buy products whose performance depends on one or more measured quantities — the wattage and lumens of light bulbs, that 12-ounce cup of coffee, the fill up at the gas station. Many of us take for granted that we are getting our money’s worth, and in large part we are, because the accuracy of these measurements traces back to calibrations and standards from the Department of Commerce’s National Institute of Standards and Technology (NIST). But measurement and other precise specifications also play a much broader, largely invisible economic role. All the sophisticated technologies we depend on daily require equally sophisticated measurement capabilities to ensure performance, quality, and safety. The diameters of optical fibers as thin human hair must match up perfectly to carry telecommunications data and video over thousands of miles. CAT scan machines must deliver the minimum X-ray dose for clear images while protecting patients from unnecessary radiation. The frequencies of cell phone systems must be finely tuned so that you receive clear reception of your calls, and only your calls, without crosstalk from stray signals. Moreover, virtually every product or service one buys today is a complex technology system (computers, automobiles, even clothes washers). The components of these “systems” can only work together if the physical and functional dimensions of the interfaces between them are precisely specified. NIST provides the precision measurement and interoperability tools industry needs now while pushing the boundaries of the underlying science to create the enabling infrastructure for the technologies of tomorrow. Acting Secretary Rebecca Blank visited the University of Colorado Anschutz Medical Campus, which houses both the University of Colorado Hospital and Children’s Hospital Colorado, as well as the Schools of Medicine, Nursing, Dental Medicine, Pharmacy and Public Health accompanied by Governor John Hickenlooper. 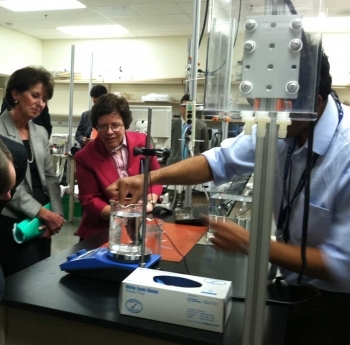 While at the Anschutz Medical Campus, she toured the facilities and observed some researchers working on their innovations in the medical field. Today, we are announcing a new multiagency effort to strengthen the way the federal family works together to support state, tribal, territorial and local communities to recover after disaster strikes. For the first time, the National Disaster Recovery Framework defines how federal agencies will work together to best meet the needs of states and communities in their ongoing recovery, by aligning key roles and responsibilities among all our partners. The emphasis of this framework is that recovering after a disaster is a team effort – one that includes local, state, tribal, territorial and federal governments, the private sector, voluntary, faith-based and community organizations and the public. Finalizing the National Disaster Recovery Framework was truly a collaborative process – accomplished through extensive stakeholder outreach and dialogue. The process began in Fall 2009 and has spanned across the country, gathering input from stakeholders that include professional associations, academic experts and communities recovering from disasters. In fact, some elements of the framework have already been implemented to save jobs in disaster affected areas of Tennessee in 2010, to open schools on time following the devastating tornado that tore through Joplin, MO and to support the recovery following the recent tornado outbreaks in the southeast this past Spring. The Obama Administration today announced the winners of the $37 million Jobs and Innovation Accelerator Challenge, a multi-agency competition launched in May to support the advancement of 20 high-growth, regional industry clusters. Investments from three federal agencies and technical assistance from 13 additional agencies will promote development in areas such as advanced manufacturing, information technology, aerospace and clean technology, in rural and urban regions in 21 states. Projects are driven by local communities that identify the economic strengths of their areas, with funding awarded to the best proposals. These public-private partnerships are expected to create more than 4,800 jobs and 300 new businesses, as well as retain another 2,400 jobs and train approximately 4,000 workers for careers in high-growth industries, according to grantee estimates. Each of the 20 awards average about $1.8 million per project, and winning clusters will contribute another $13 million in total matching funds. Maryland Governor Martin O'Malley addressed several hundred educators, IT experts, and others at the National Institute of Standards and Technology (NIST) yesterday as part of a workshop hosted by the National Initiative for Cybersecurity Education (NICE), a national campaign coordinated by NIST. 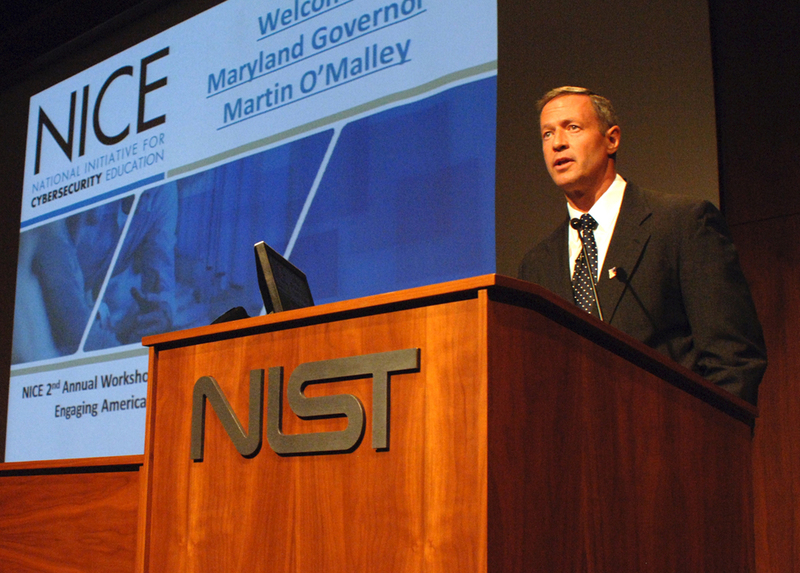 O’Malley described a state-wide cybersecurity initiative begun three years ago that includes partnerships with Maryland-based federal labs such as NIST and the National Security Agency, enhanced technology transfer efforts, and expansion of the cybersecurity career pipeline. He also discussed several programs that the state of Maryland has implemented in Science, Technology, Engineering and Mathematics (STEM), education at the college level and in career and technical education at the high school level to improve education in cybersecurity. He noted that "a modern economy requires modern investment," and "the single most important investment is the investment in public education." President Obama has made openness a high priority in his Administration, committing his Administration to an “unprecedented level of openness in Government” on his first full day in office. used technology in innovative ways that harness government information to improve the lives of ordinary citizens. As President Obama today signs the Open Government Partnership declaration, the U.S. Department of Commerce is proud to highlight some of the ways that it has advanced America’s domestic open government agenda and created a more efficient and effective government through greater transparency, participation, and collaboration. In 2010, the Census Bureau contributed more than 164,000 files to ensure that the Data.gov program met its first-anniversary goal of 250,000 data sets. The Census Bureau added data sets and tools including American FactFinder, the preeminent tool for accessing Census data; the intercensal Population and Housing Unit Estimates, the official numbers for non-decennial years; and the International Database, one of the most-frequently-requested pages on www.census.gov. The Department is working to help raise awareness of existing programs and ongoing efforts that will benefit the American people in their everyday lives. One such example of these types of efforts is the NOAA Climate Services Portal. The NOAA Climate Services Portal improves access to high-value climate information to the public. The NOAA Climate Services Portal (NCSP), a collaborative cross-NOAA effort, was officially rolled out in prototype mode in February 2010. 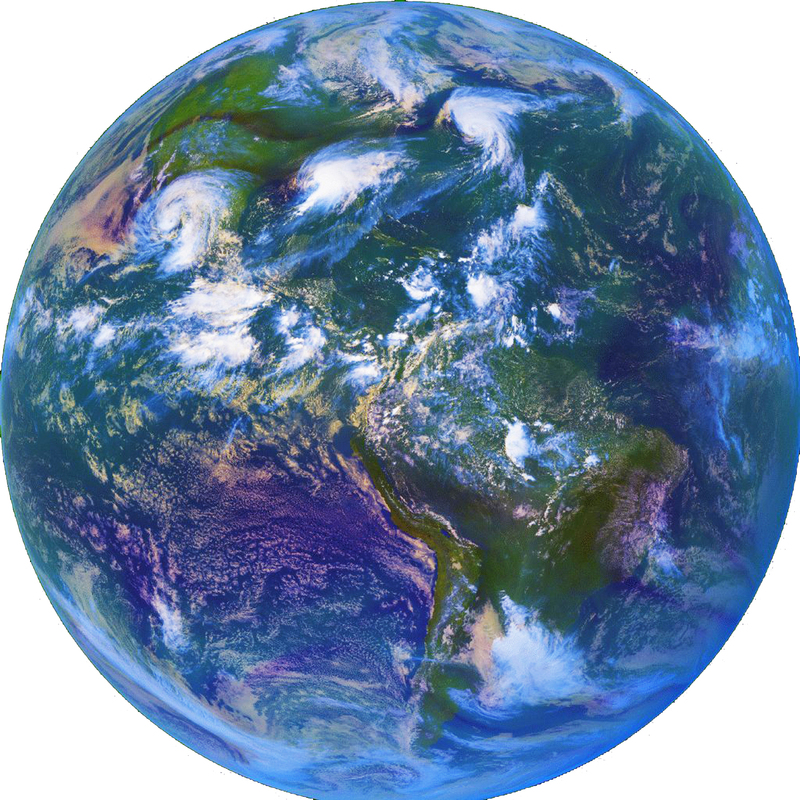 The NCSP offers a user-focused way for multiple audiences to access NOAA’s climate data, information, and services in a standards-based manner. While NOAA’s climate information is expansive, users have highlighted the need for a “one-stop-shop” that effectively organizes the information and makes it easy to find what is needed. Although in its current prototype mode the NCSP is just scratching the surface of what NOAA has to offer, plans call for continuing to add NOAA data, information, and services. Another key existing program that opens up government services to citizens is CommerceConnect. CommerceConnect is a one-stop-shop to help U.S. businesses transform themselves into globally competitive enterprises, by connecting them with government information, counseling and services. Acting U.S. Commerce Secretary Rebecca Blank delivered the keynote address at a green energy conference today hosted by Commerce’s United States Patent and Trademark Office (USPTO), the Economic Development Administration (EDA), the Brookings Institution and the Clean Energy Group at USPTO headquarters in Alexandria, Virginia. The conference was held for policy makers from federal, state, and foreign governments, and industry and academia. 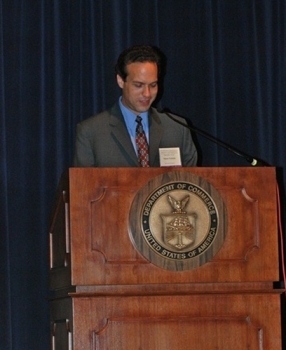 Under Secretary of Commerce for Intellectual Property and Director of the USPTO David Kappos, EDA Assistant Secretary of Commerce for Economic Development John Fernandez and Connecticut Gov. Dannel Malloy also participated. At a ceremony at the Thomas Jefferson High School for Science and Technology in Alexandria, Virginia, President Obama today signed the America Invents Act into law, representing historic patent reform legislation that will help American entrepreneurs and businesses bring their inventions to market sooner, creating new businesses and new jobs. Passed with the president’s consistent leadership and strong bipartisan support, the America Invents Act represents the most significant reform of the Patent Act since 1952, and will help American companies and inventors who have suffered costly delays and unnecessary litigation focus on innovation and job creation. Innovation is the primary source of economic growth, job creation, and U.S. competitiveness in today’s global economy. An efficiently operating intellectual property system is critical to our ability to spur innovation and bring new services and products to the marketplace faster. For investors, patents are strong indicators of market potential for new companies; and for inventors, they are often vital to attracting investment. Aneesh Chopra, on the White House Blog, said, "By transitioning to a simpler, more objective, and more inventor-friendly system of issuing patents, the new Act helps ensure that independent inventors and small entities have greater clarity and certainty over their property rights and will be able to navigate the patent system on a more equitable footing with large enterprises." The Act also establishes a new in-house review process for challenging patents—a process that is faster and significantly cheaper than litigation, which too often stymies technological growth. By resolving disputes about patent rights earlier, more efficiently, and at lower cost, we can add greater certainty to—and cultivate greater confidence it—the American patent system." United States Patent and Trademark Office Director David Kappos and U.S. Chief Technology Officer Aneesh Chopra hosted an Open for Questions event on WhiteHouse.gov at 5:00 p.m. EDT on Friday, September 16th. If you missed it, you can watch the entire Q&A session on the White House blog. The globe had its eighth-warmest August since record keeping began in 1880, while June through August was the seventh warmest such period on record. The Arctic sea ice extent was the second-smallest for August on record at 28 percent below average. The combined global land and ocean average surface temperature for August 2011 was the eighth-warmest on record. Warmer-than-average conditions occurred across most of North America and the northern half of South America, southern Greenland, eastern Russia, Mongolia, most of Europe, northern Africa to Southwest Asia and southern Australia. Cooler-than-average regions included western Russia, Alaska, Chile, Argentina and Uruguay. The August global ocean surface temperature was 0.79 F (0.44 C) above the 20th century average of 61.4 F (16.4 C), making it the 12th-warmest August on record. Australia’s August 2011 average maximum temperature was the fifth-warmest August in its 62-year period of record. The state of Tasmania had its all-time warmest August maximum and minimum temperatures on record. The U.S. Commerce Department’s Economics and Statistics Administration (ESA) is one of the primary economic arms of the American government. Our mission is to serve the American public by measuring and analyzing the nation’s rapidly changing economic and social arrangements. We do that by informing policy makers about opportunities to improve the well-being of Americans, such as initiatives that put Americans back to work. ESA helps with the understanding of the key forces at work in the economy by providing objective data that enable sound policymaking. Our mission is to create the conditions for economic growth and opportunity, by providing information that supports innovation, entrepreneurship, competitiveness, and an informed society. Leveraging a treasure trove of economic and demographic data, we provide expert economic analysis -- in-depth reports, shorter fact sheets, and briefings. Policymakers, the public, American businesses – the many and varied customers of the Commerce Department rely upon these tools, as do state and local governments and our sister agencies here at DoC. Our economic indicators drive news around the world. In addition to regular economic statistical updates, we produce reports on important topics of the day. Recent reports have included a three-part series on jobs of the future: science, technology, engineering and mathematics (STEM), and the quality and promise those fields have for America as a global leader in technology and innovation. We have reported on the status of the middle class in America, women-owned businesses, broadband access in the U.S., and the “green” economy. This morning Acting Commerce Secretary Rebecca Blank met with key business leaders at the final meeting of the Commerce Department’s Travel and Tourism Advisory Board to discuss the President’s plan to create jobs across America, highlighting the essential role of the travel and tourism industry to American jobs and the American economy. She announced that international visitors spent a record-setting $13.3 billion on travel to, and tourism-related activities within, the United States during the month of July – $1.8 billion or 15 percent more than was spent in July 2010. The travel and tourism industry accounts for 25 percent of exports in services and 7 percent of all U.S. exports. Travel and tourism is one the industries targeted to help grow jobs across America and achieve the goal of doubling exports through President Obama’s National Export Initiative (NEI). The Board meeting highlighted collaboration between the federal government and the private sector to address policy issues to help increase legitimate international travel to the United States. The United States Travel and Tourism Advisory Board is the premier source of industry advice to the Secretary of Commerce. The Board has met five times throughout their charter term, providing industry input on travel facilitation, airport security, marketing, communications, research and data and energy policy. It has been rechartered and is accepting applications for the next board - deadline is Friday. In the 21st century global economy, America’s competitiveness requires a modern communications infrastructure, a technology-savvy workforce, and public policies that preserve the Internet as an engine for job creation, innovation, and economic growth. NTIA’s activities–at a cost of about a penny per month for each American–represent a modest yet critical investment in our economic future, one that can pay dividends for decades. Global online transactions total an estimated $10 trillion annually. In United States alone, domestic online transactions in 2009 totaled an estimated $3.4 trillion. A recent McKinsey & Company report finds that the Internet has created 2.6 jobs for each job it has eliminated. Between 1998 and 2008, the number of domestic IT jobs grew by 26 percent, four times faster than U.S. employment as a whole. By 2018, IT employment is expected to grow by another 22 percent. NTIA is a small agency, but we are playing a central role in helping America harness the power of the Internet to meet these national objectives. 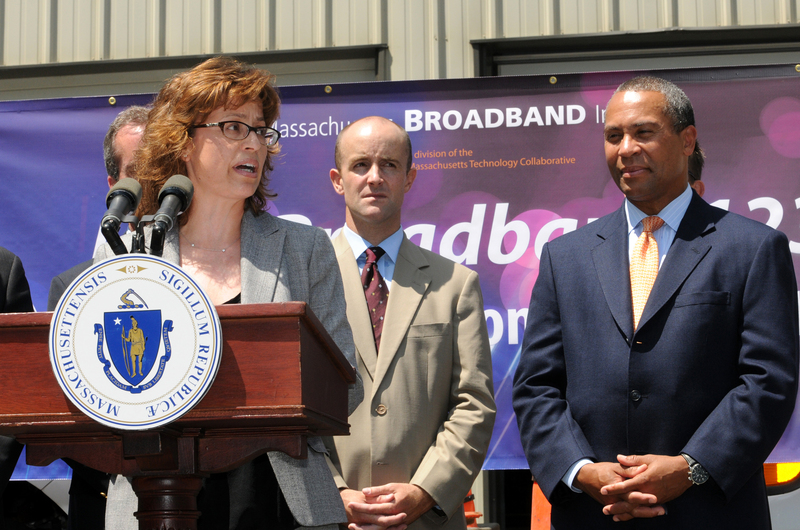 Our work is focused in three areas: maximizing spectrum use, expanding broadband access and adoption, and policymaking to support the continued growth of the Internet economy. Acting U.S. Commerce Secretary Rebecca Blank, along with Small Business Administration Administrator Karen Mills, Philadelphia Mayor Michael Nutter and Assistant Secretary of Commerce for Economic Development John Fernandez, addressed the media today in Philadelphia in conjunction with a meeting of the National Advisory Council on Innovation and Entrepreneurship (NACIE) to discuss federal support for area entrepreneurs and small businesses, research and commercialization efforts in the private sector, and the President’s American Jobs Act. 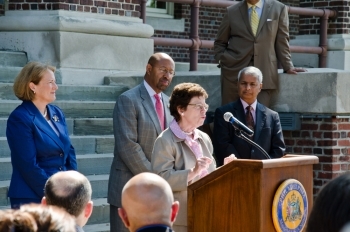 The event was held before a crowd of local business leaders at The Navy Yard - a business incubator and home to the new Greater Philadelphia Innovation Cluster for Energy Efficient Buildings. "The Navy Yard is a prime example of both a growing regional innovation cluster and the value of public-private partnerships that support innovation and entrepreneurship," Acting U.S. Commerce Secretary Blank said. "It is part of the rebuilding of America's very economic foundation with investments in the building-block priorities that will help ensure the U.S. is home to the industries of the 21st century and the jobs they support." Blank called for swift passage of the President’s American Jobs Act to help put more people back to work and put more money in the pockets of working Americans. The plan calls for cutting in half the payroll tax that comes out of every worker's paycheck, saving families an average of $1,500 a year. It also provides a payroll tax cut to 98 percent of businesses and eliminates the payroll tax on a firms’ new hires or employees to whom they give a raise. Our name, the Census Bureau, suggests to many only the decennial census of the population. However, we have more individual statistical programs measuring the economy than those measuring the population. From the Census Bureau, the country learns the economic health of the manufacturing, retail, and other service sectors. The Census Bureau supplies the country with key import and export data, which measure the relative success of American goods abroad and our consumption of other countries’ products. We track the construction of new homes and how housing starts are changing across the country. We measure the fiscal condition of state and local governments. We inform the country about the annual financial position of US corporations and on capital investment in new and used structures and equipment together with expenses for information and communications technology infrastructure. We measure the volume and change in businesses owned by women and minorities. There are hundreds of separate statistical programs that we run, which in these times of economic hardship, are the key metrics about how we’re doing as an economy. The data provided by the Census Bureau underlies much about what we know about our economy and our people. For example, the Bureau of Economic Analysis uses the statistics from the economic census to benchmark gross domestic product (GDP) estimates and prepare input-output tables – the fundamental tool for national and regional economic planning. During benchmark years, such as 2012, about 90 percent of the data used in calculating GDP comes from the Census Bureau. The Bureau of Labor Statistics uses Census Bureau statistics to benchmark producer price indexes and prepare productivity statistics. The Federal Reserve Board uses our statistics to prepare indexes of industrial production. Businesses use our statistics for site location, industry and market analysis, to make investment and production decisions, to gauge competitiveness, and to identify entrepreneurial opportunities. Detailed industry information for small geographic areas permits state and local agencies to forecast economic conditions, plan economic development, transportation, and social services. Watch how the Greater Houston Partnership finds that data from the American Community Survey and uses it to encourage economic development in Houston. As you can see, the Census Bureau is about much more than just counting the population once a decade. By measuring America’s people, places and our economy, the Census Bureau provides a wealth of information about who we are as a society and where we are going. Acting U.S. Commerce Secretary Rebecca Blank unveiled findings from the Economics and Statistics Administration’s (ESA) third and final report on science, technology, engineering and math (STEM) jobs and education today at a Brookings Institution forum on advancing STEM education in the United States. STEM workers are essential to American innovation and competitiveness in an increasingly dynamic and global marketplace. In this third report, we examine demographic disparities in STEM education and find that educational attainment may affect equality of opportunity in these critical, high‐quality jobs of the future. On Sunday, Acting U.S. Commerce Secretary Rebecca Blank participated in a “September 11th Day of Service and Remembrance” at Ballou Senior High School in Southeast Washington D.C. This year’s 9/11 National Day of Service coincides with the third annual George Washington University Freshman Day of Service. 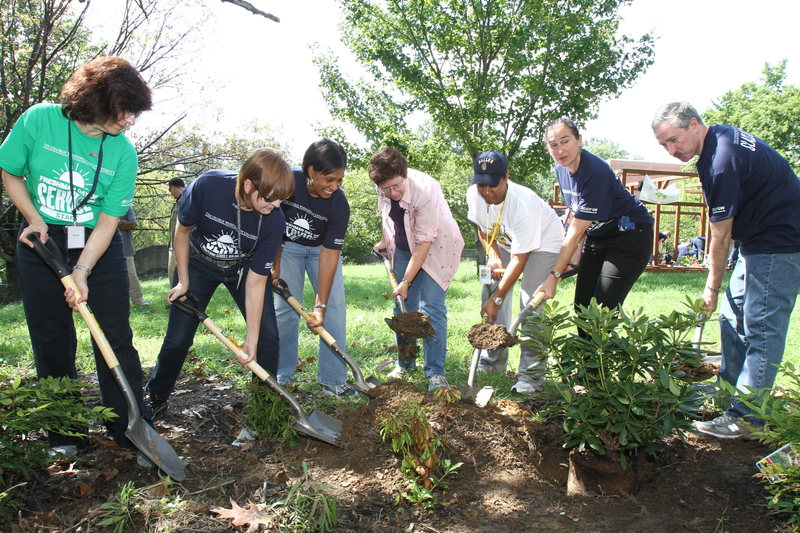 Approximately 2,300 George Washington University freshmen and student leaders will visit 15 sites in the Washington, D.C. area to volunteer their time on service projects such as school beautification and restoration as well as environmental clean-up. About 150 students from George Washington University were assigned to Ballou for a variety of tasks. Upon arrival, Acting Secretary Blank met with Principal Branch to learn more about the schools and the “New Ballou” effort underway that will help improve student academic performance and meet the myriad needs the students have. After an orientation with all the George Washington University students, Dr. Blank participated in planting a rhododendron in honor of a local student who was killed on the September 11, 2001 attack on the Pentagon. Bernard Brown was a student at a feeder school for Ballou and had he survived, he would have probably attended the high school. She then pulled up weeds in the vegetable garden alongside freshman George Washington University students. After helping in the garden, Dr. Blank, along with George Washington University Provost Steve Lerman and several other members of George Washington University, took a tour of the New Ballou with Ruth Jones, the Director of Resource Development at Ballou. The group saw the transformation of the school that included a new computer lab and stocked library. The tour ended in the science lab where students were painting a mural of areas of scientific study. Dr. Blank rolled up her sleeves and helped some of the students with the mural of plant cells. Last night President Obama explained his proposal for putting creating jobs now and putting Americans back to work before Congress. In addition to giving the economy a shot in the arm with more money in the pockets of working Americans, his proposed American Jobs Act has several new ideas, backed by both Democrats AND Republicans, which are a win for businesses and employers. The President is focused on rebuilding the economy the American way, through the ingenuity and hard work of the American people. Businesses and employers stand to win under the President’s American Jobs Act in various ways. A bipartisan-supported National Infrastructure Bank which provides capital and contracts to upgrade and build vital roads, rails and airports. Allowing workers to earn unemployment insurance if they choose to work share over layoffs. Learn more about the benefits of the American Jobs Act. 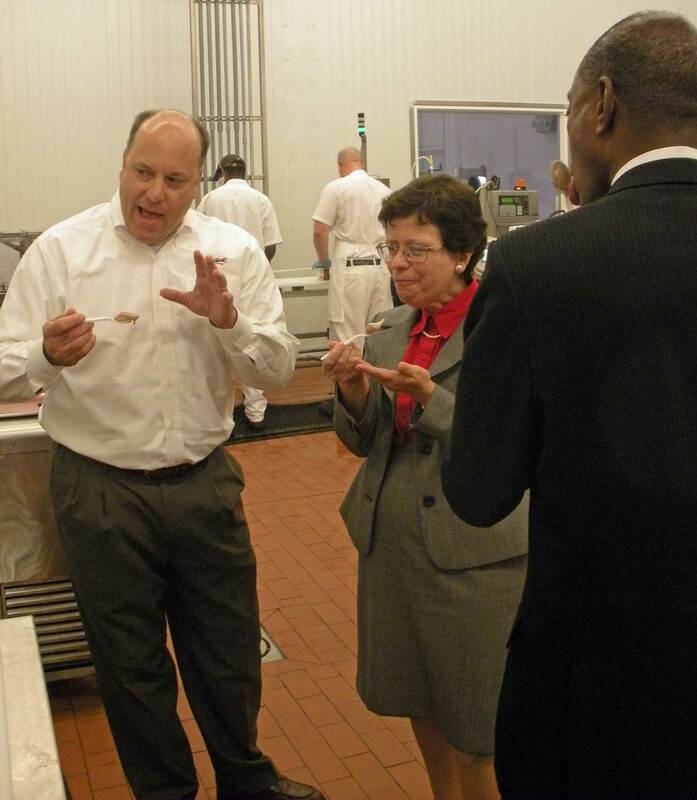 First thing this morning, I’ll be on a plane to Cincinnati to join Mayor Mark Mallory for a visit to Graeter’s Ice Cream, a locally and family owned ice cream company founded in 1870. At Graeter’s, I'll explain the details of President Obama’s American Jobs Act, specifically how it will spur economic growth and accelerate job creation. After my tour (and hopefully a sample or two of that ice cream), I will host a White House Business Council roundtable discussion with local business leaders to discuss the jobs plan in further detail, challenges facing America’s business community, ways to improve U.S. economic competitiveness and the help that is available to businesses from agencies across the federal government. Before the end of the day, I’ll be sitting down with the editorial board of the Cincinnati Enquirer to answer all their questions about President Obama’s jobs plan. The American Jobs Act is a set of ideas that have been supported by both Democrats AND Republicans that needs to be passed right away. This plan will put more people back to work and more money in the pockets of working Americans. As the folks in Cincinnati will attest, Americans are working hard each and every day to meet their responsibilities. The only question now is whether Washington will meet its responsibilities. The time for obstruction and gridlock is over. Congress needs to pass the American Jobs Act. 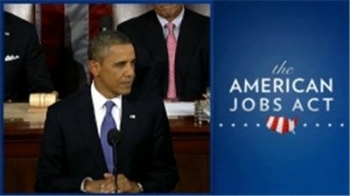 This week, President Obama called for more robust job creation measures in his Joint Address to Congress. To put Americans back to work, we must make smart investments to support the jobs and industries of the future, and that is what the U.S. Economic Development Administration (EDA) does across the country. As the only government agency with economic development as its sole mission, EDA leads the national bottom-up job creation and growth agenda by promoting American innovation and building strong regional economic ecosystems to accelerate long-term, sustainable economic prosperity. The agency’s investments have two major goals: creating higher-skill, living-wage jobs and attracting private capital investment. Its diverse portfolio of construction, technical assistance, finance, and investment planning assistance are designed to help communities build upon their regional assets to foster job creation and business expansion. The agency’s work is generating real returns. Every $1 dollar in EDA grant funding is expected to leverage nearly $7 dollars worth of private investment. In FY 2010, EDA awarded investments that totaled approximately $285 million, excluding supplemental funds. Of this amount, approximately $191.5 million funded construction projects that are expected to help create or retain about 48,500 jobs and generate nearly $6 billion in private investment, according to grantee estimates at the time of the award. Science plays a pivotal role in our lives every day, stimulating the economy, creating new jobs and improving the health and security of Americans. And at NOAA all things start — and end — with science. It is the foundation of our work and of the value the agency brings to the American people. What kind of value are we talking about, in real terms? Ensuring sustainable fisheries, healthy oceans and resilient coastal communities. When you consider the portfolio of services, stewardship and information NOAA provides people — decision-makers, emergency managers, fishermen, businesses, state/tribal/local governments and the general public — 5 cents a day has never gone further. Acting Secretary Rebecca Blank and Under Secretary of Commerce for Intellectual Property and Director of the United States Patent and Trademark Office (USPTO) David Kappos today presented patent no. 8 million to Second Sight Medical Products, Inc., for a visual prosthesis apparatus that enhances visual perception for people who have gone blind due to outer retinal degeneration. Following the signing, company President and CEO Robert Greenberg demonstrated the new product, Argus® II. The ceremony underscored the critical role the U.S. patent system plays in fostering American innovation and economic competitiveness and comes as Congress is acting to make the most significant reforms to the system in more than half a century. Patent reform legislation currently before Congress – the America Invents Act – will help create new jobs by simplifying the process inventors face for getting a patent, while making the system more transparent and reducing costly and time-consuming litigation. The bill is an essential tool to bring the patent system and the USPTO into the 21st century and to continue to unleash the innovation, ingenuity and creativity that has made America the envy of the world. Strong and clear patent rights are especially vital to small and new businesses, which create 2 out of every 3 American jobs. Successful inventors need to secure patent rights to access capital, hire employees and lift their companies off the ground. Put simply, patents are crucial to creating new jobs, new industries and new economic opportunities for Americans. Adopts the “first-inventor-to-file” standard as opposed to the current “first-to-invent” standard. First inventor to file is used by the rest of the world, and would be good for U.S. businesses, providing a more transparent and cost-effective process that is consistent with the practices of our economic competitors. Taken together, the reforms outlined in the America Invents Act create a better architecture for fostering American innovation and accelerating the delivery of innovative goods and services to the marketplace. It also gives the Patent Office the tools and resources it needs to serve America’s innovators by granting high-quality patents in a more timely fashion. “It’s Brazil’s Time!” I still can hear the clarion call of Rick Fedrizzi, President of the U.S. Green Building Council, from his opening speech during the Green Building Conference Brasil in São Paulo last week. I was in Brazil to foster expanded commercial ties between Brazilian and American firms in the green building and energy sectors and advance the objectives of the U.S.-Brazil Strategic Energy Dialogue. For a portion of the trip, I accompanied 14 companies participating in the Department of Commerce-certified, Brazil-U.S. Business Council-organized Trade Mission. These are innovative and forward-thinking small and medium companies interested and ready to export green building products to Brazil. Fedrizzi also pointed out that Brazil was among the top five countries for LEED certifications, so there is definitely a market opportunity for these companies. 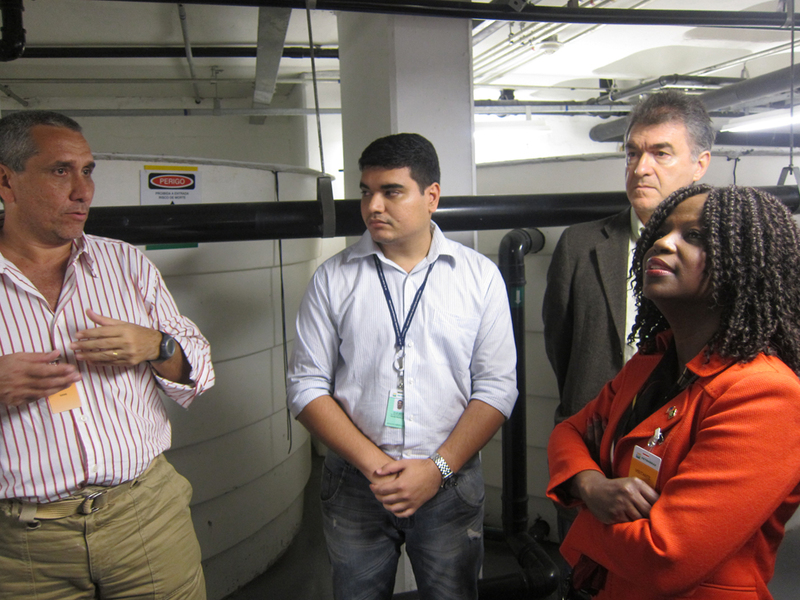 It also helps that financing is available for construction of buildings designed to LEED specifications. Brazil is rushing to get ready for the 2014 World Cup and the 2016 Olympics. One of the International Trade Administration’s (ITA) key efforts is to strengthen the competitiveness of U.S. industry while promoting trade and investment to ensure that every American who wants a job can find one. This work is done at ITA’s offices and US Export Assistance Centers (USEAC) throughout the United States. 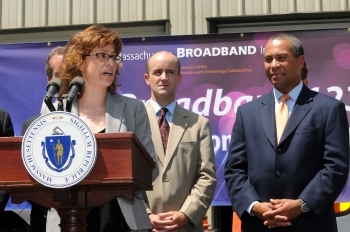 The USEAC in Middletown, Connecticut is entirely focused on helping local companies export and create jobs. The office only has two full time employees to meet the needs of the over 2500 Connecticut companies they assist. Even though their staffing levels have decreased in recent years, they are working smarter and are providing 300% more export assistance than 4 years ago. One of the smarter ways the USEAC is meeting the increasing demands for export programs from their 2500+ clients is to rely on the support of volunteer interns. These interns provide a valuable service to companies and the office, while learning new skills and a new career. Over the past 2 ½ years many of those interns have been transitioning service members and veterans. Our military interns are mission-focused and exceptional leaders. 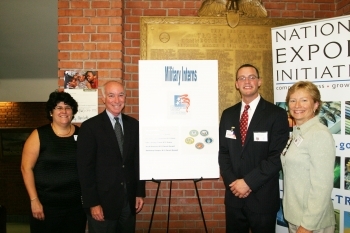 The Military Internship Program benefits Connecticut exporters and gives back to those who have sacrificed the most for our cherished freedom. The mission is to train our veteran interns in business skills in a business comfortable environment while supporting them in their transition to civilian careers. Upon completion of the program, with our help, each military intern has found full time employment. At no cost to the taxpayer, companies are getting valuable exporting expertise and veterans are finding new careers in the private sector. This effort fits right into President Obama’s challenged to the private sector to hire or train 100,000 unemployed veterans or their spouses by the end of 2013. Just as many American businesses are finding creative ways to meet their bottom lines, so are the trade specialists in local offices around the country who serve the needs of their clients and provide training to our veterans who have served our country. In the 2011 State of the Union address, President Obama asked every American to take steps to ‘Win the Future’ by out-innovating, out-educating and out-building our global competitors. The Minority Business Development Agency (MBDA) of the United States Department of Commerce is the only federal agency tasked to create new jobs by expanding the U.S. economy though the nation’s 5.8 million minority-owned and operated businesses. 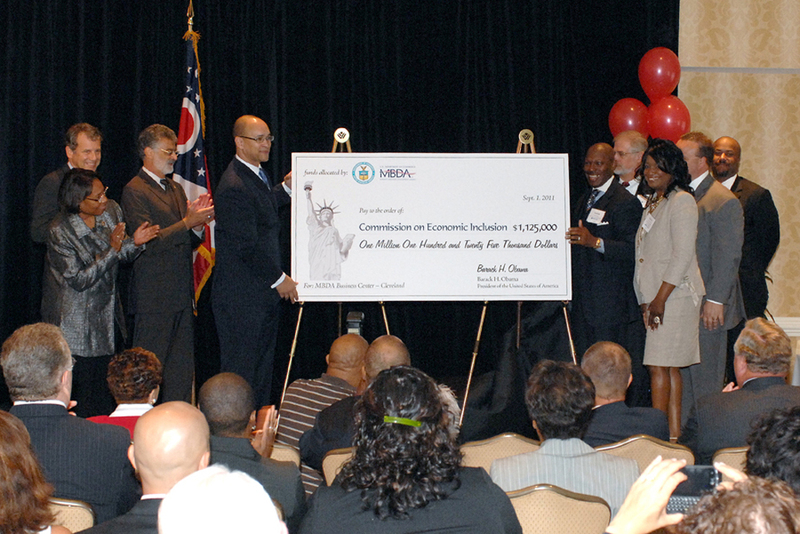 The minority business community accounts for over $1 trillion in economic output to the nation and provides nearly six million jobs for U.S. citizens. MBDA experienced record performance in 2010. The Agency created 6,397 new jobs by assisting minority-owned companies in obtaining nearly $4 billion in contracts and capital, an historic high. During the first two years of the Obama Administration, MBDA created nearly 11,000 new jobs and saved tens of thousands of existing jobs while helping minority-owned firms obtain nearly $7 billion in contracts and capital. In FY 2010, MBDA’s Return on Investment (ROI) was 125x, up from 102x in 2009 and from 70x at the end of the prior administration. This speaks to the increased operating efficiency of the agency during this Administration. The White House's National Science and Technology Council Recognized Commerce's National Institute of Standards and Technology (NIST) and U.S. Patent and Trademark Office (USPTO) for their open innovation efforts [PDF]. NIST's efforts to encourage market transparency and USPTO's leadership in public/private data access have the potential to scale within and across Federal agencies through interagency policy and implementation groups. By leading in this open government initiative, NIST and USPTO set the stage for entrepreneurs to out-innovate our international competitors and win the future. The U.S. Patent and Trademark Office was recognized for its efforts in democratizing government data, supporting President Obama's initiatives to usher in a new era in which the gap between the American people and their government would close. USPTO initially faced some problems in its effort to publish its data online in a free and open format. The Office had traditionally been providing data through a paid subscription service. It also didn't have funding for technology to publish information online in an open format that could easily be retrieved, downloaded, indexed and searched by commonly used web search applications. The USPTO opted to partner with Google in a no-cost agreement in which Google agreed to disseminate USPTO's bulk electronic patent and trademark data to the public at no charge. The electronic data includes images and text of patent grants and published applications, trademark applications, patent classification information and patent and trademark assignments. In the end, nearly two terabytes of data, representing patent and trademark data back to 1790, is now available to the public free of charge on Google, with some 13GB of new data added weekly. 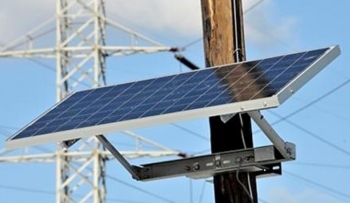 The National Institute of Standards and Technology also received recognition for its efforts in encouraging market transparency with its ongoing coordination of standards for the Smart Grid, the next-generation U.S power grid currently under development. After being called upon by Congress in 2007 to take responsibility for this task, NIST, in collaboration with the Department of Energy, faced the challenge of ensuring the myriad products and services that could connect to the Smart Grid would be able to operate together seamlessly. Hurricane season for the National Oceanic and Atmospheric Administration (NOAA) is much more than just naming hurricanes. 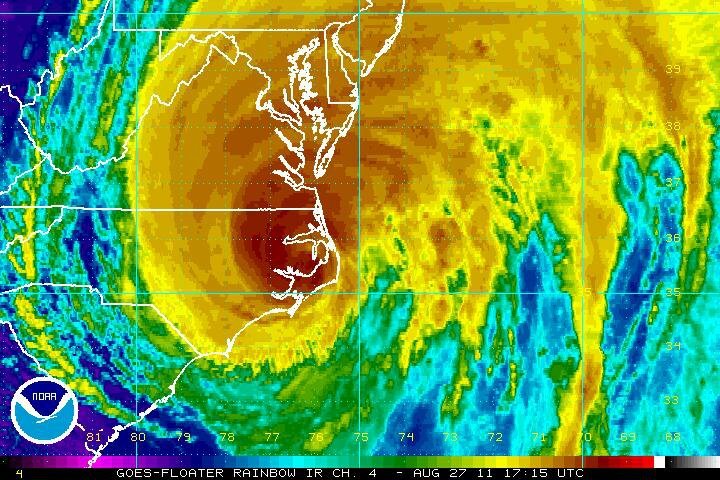 Even before Irene became the first hurricane of the season, NOAA was tracking her. 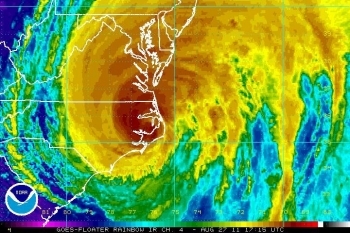 Things kicked into high gear when Irene formed as a hurricane and appeared headed for landfall. On Tuesday, August 23rd, NOAA forecasters began tracking and forecasting the track of the recently declared Hurricane Irene as it entered the southeastern Bahamas. As it turned out, this track forecast was remarkably accurate. The 48-hour error for Irene was 20 percent better than the 5-year average, and during the time that watches and warning were in effect for the United States, the average 48-hour track error was half of what it would have been 15 years ago. NOAA has a video of the accuracy of the prediction. The accuracy of this forecast is due to the guidance from the forecast model, advances in satellite-based observations and supercomputers, as well as the regular surveillance missions of the NOAA Gulfstream-IV beginning on August 23rd, allowing NOAA forecasters to watch the development of the storm. On Friday, August 26th, NOAA and the University of Oklahoma deployed two state-of-the-art mobile radar instrumented vehicles in North Carolina to intercept Hurricane Irene. These vehicles were equipped with dual-polarization technology that provided more accurate estimates of precipitation type and amount. This was also the first hurricane for the National Science Foundation-funded Rapid X-Scan X-band dual polarized radar which is sensitive enough to detect cloud particles. By using these mobile radar instruments, NOAA was able to compare three different radars scanning for three different features of the storm, giving NOAA scientists valuable data about hurricanes and their rainfall characteristics. On August 26th and 27th, NOAA provided people in the projected path of the Hurricane with an accurate picture of the impact the Hurricane. In order to battle what NOAA calls “hurricane amnesia,” they released warnings about the dangers of inland flooding so as to advise people not to discount the power of the storm. This is part of NOAA’s broader effort to create a ‘Weather-Ready Nation,’ a strategic plan organized by the National Weather Service to increase the public’s knowledge of different environmental and weather related phenomena.